A casual hooded sweatshirt for women. This piece, with full zip, can be worn all year round. 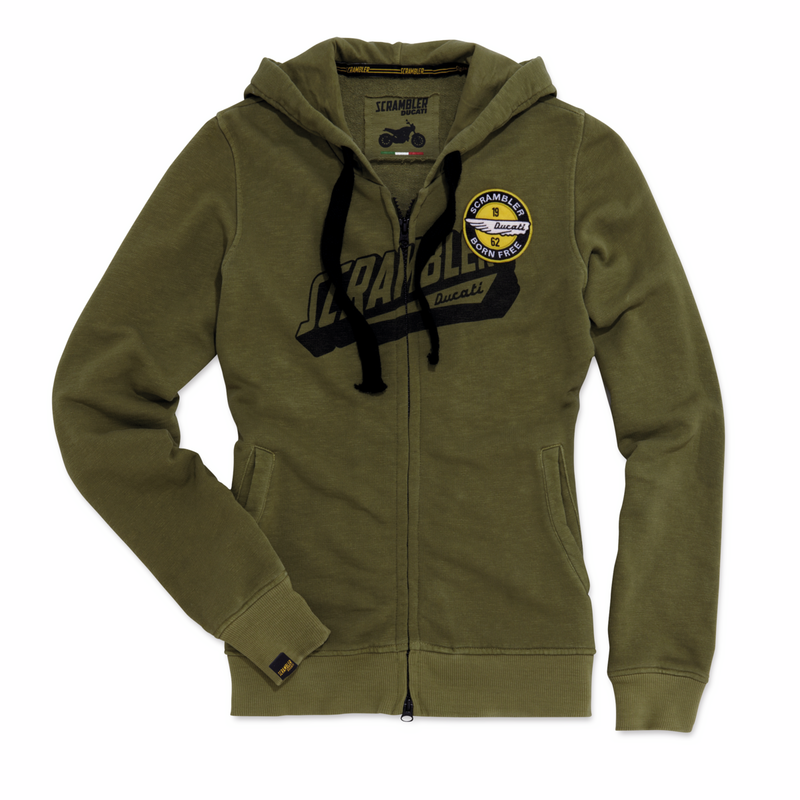 Its strong Scrambler spirit is evident in the colour, the print on the front and patch with essential yellow details. Made in Italy, 100% iridescent cotton.